At Norris Injury Lawyers, we help lung cancer victims collect financial compensation from bankruptcy trusts set up specifically to award benefits to asbestos-related lung cancer victims. Though the process can be tedious and time-consuming, our proprietary system of claims processing can help you get the money already set aside for victims like you. You may be entitled to multiple cash settlements without going to court, filing a lawsuit, or even leaving your house. Exposure to asbestos can cause a variety of lung diseases, including lung cancer. Asbestos is not harmful in its natural state, but when broken down, its fibers can be easily breathed in through the nose and mouth. Once in the body, microscopic asbestos fibers can become embedded in the lungs. When these fibers accumulate, they cause irritation that can eventually lead to the development of lung cancer. The majority of workers exposed to asbestos do not show symptoms of asbestos-related lung cancer for decades. The latency period – or the amount of time it takes from exposure to the development of cancer – may be as long as 40 to 50 years before symptoms become noticeable. If you or a loved one has been diagnosed with lung cancer, Norris Injury Lawyers has created this resource to help you determine if your cancer may have been caused by exposure to asbestos. If you believe your lung cancer is asbestos related, our 24/7 legal staff can help investigate the cause of your illness. Your call and case evaluation are free – just dial (800) 477-7510 or complete our free initial consultation form now. Just like lung cancer, these cancers may be caused by repeated asbestos exposure and they can take decades to develop. If you or a loved one were diagnosed with any of these cancers, check with Norris Injury Lawyers to determine if you may be eligible for financial compensation from the dozens of asbestos payment trusts set up to take care of asbestos cancer victims. Do not assume that you are not qualified for benefits. It costs you nothing to check. When you contact us, we can help determine your rights to available cash benefits. The call and evaluation are free. As with asbestos-related lung cancer victims, esophageal, laryngeal, pharyngeal, stomach, colon, and rectal cancer victims may collect free monetary compensation from multiple bankruptcy trusts set up to award benefits to asbestos-related cancer victims. Just like lung cancer victims, they may be entitled to multiple cash settlements without going to court, filing a lawsuit, or even leaving your house. Contact our 24/7 team to get started – just dial (800) 477-7510 or complete a free initial consultation form . We’re able to serve victims throughout the United States, and we’re standing by to help. What if I smoked tobacco products? There is a link between smoking and asbestos exposure that can accelerate the formation of lung cancer cells. You may still have a monetary claim for asbestos lung cancer benefits even if you smoked tobacco products. Who is at risk of developing asbestos-related cancers? Family members and others who lived with workers in these industries are also at risk of asbestos-related cancers due to regular contact with asbestos fibers brought into homes on clothing. At Norris Injury Lawyers, we’re here to answer any legal questions you may have about your potential asbestos exposure, your rights to benefits, and your lung cancer diagnosis. If you or a loved one were diagnosed with lung cancer, the attorneys at Norris Injury Lawyers want to speak with you. We’re able to serve you no matter where you live, and with our No Fee Guarantee®, you don’t pay us anything unless we get money for you. Contact our 24/7 team to get started – just dial (800) 477-7510 or complete a free initial consultation form. Did companies know about asbestos cancer risks? Years of courtroom evidence indicate manufacturers of products containing asbestos knew about the cancer risks to workers for decades. Not only did these companies fail to warn workers, their families, and nearby residents about asbestos lung cancer, in some cases, they actually worked hard to conceal proof that the substance was making innocent people ill.
What if I don’t know when I was exposed to asbestos? When you come to Norris Injury Lawyers for help, we’ll assign your case to an experienced legal team that knows how to research asbestos cancers and mesothelioma claims. Our attorneys can work to determine who was responsible for your illness and what types of compensation may be available to you. There are timelines, eligibility requirements, and certain types of evidence required to file a successful claim. If you think you may have an asbestos cancer claim, an experienced attorney can help protect your rights to compensation. While lung cancer and other cancers can frequently be related to asbestos, mesothelioma is only caused by asbestos exposure. There is no other known origin for mesothelioma. Very often, the victim is someone who worked hard all of their life to provide for the needs of their loved ones. Unlike many cancers that can be treated to improve and extend the lives of patients, mesothelioma is a fatal cancer. Unfortunately, without exception, once an individual has been diagnosed with mesothelioma, his or her life expectancy is generally one year or less. Mesothelioma is a grim and dispassionate disease that destroys its victims and plagues their families. While victims of other cancers can have us process their claims for monetary payments with relative ease and anonymity, mesothelioma cases are complicated and require considerable litigation. They must be acted on immediately – days and hours can make a difference in your rights to compensation. Most frequently, we work with the victim’s family to help keep them advised, ensure everything is completed in a timely manner, and preserve the victim’s health and energy as much as possible. Ensure that you or your loved one has the best available medical and pain relief treatment. The next several months will likely be one of the most difficult times you’ve experienced, and you need to be prepared. Take time to enhance, mend, and memorialize all personal relationships, such as those with family, friends, coworkers, and spiritual advisors. Document and celebrate life together. Use available legal resources to get the money you need to help fulfill your wishes or your loved one’s desires. Considerable financial compensation is almost always available for mesothelioma victims who act quickly. But legal deadlines make time critical. Manufacturers and distributors of asbestos products still fight to avoid paying monetary damages, and you need serious legal representation. Our national network of mesothelioma lawyers and litigators allows us to help you regardless of where you live. If you or a loved has been diagnosed with mesothelioma, call our 24/7 legal team now. 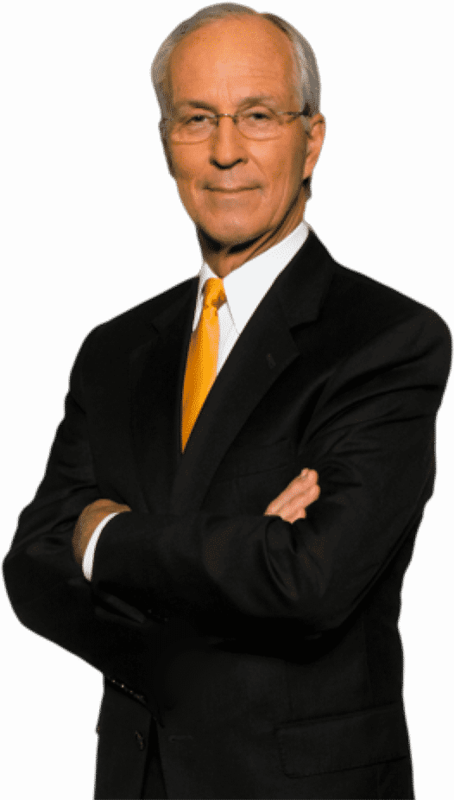 After your initial inquiry, ask to speak directly with our senior founding partner, Robert Norris. We will expedite your claim and take all necessary steps to meet with you and your family as soon as possible. This is very important. Norris Injury Lawyers wants to help you get the compensation you deserve. We have more than 40 years of experience helping people harmed by negligence, and our mesothelioma lawyer network can begin investigating your claim today. Contact us at (800) 477-7510 or complete our free initial consultation form to get started.